With the growing intrigue of the ease of wear with the 360 Lace Wigs, some wig wearers will question the best ways to braid their natural growing hair under the wig cap to create a flawless appearance. So which braiding pattern is best for wearing 360 Frontal Wigs ? It’s always recommended to change your braiding pattern for every new installation of one’s lace front wigs as well the same applies to 360 wigs and any other lace wig installation. Choosing which of the many braiding pattern style of an individual’s natural growing hair before lace wig installation will vary based on the individuals volume of hairs around the perimeter. As discussed prior in “ Why It’s Good To Change Your Braiding Pattern Before Your Next Bundle or Lace Wig Install”. It’s important to change the directional braiding pattern of your natural hair, before every new Lace Front Wig or Bundle Weft Hair Extensions installation. To avoid the potential of tension along the hairline that will lead to increasing hair loss. Most lace wig wearers and weave enthusiast will lean to braiding patterns such as the simplistic cornrow braiding technique, however it is very wise to switch up your braiding pattern every other installation, to avoid the potential of losing your edges (hairline) , due to excessive pulling your hair in the same direction. Cornrow braid pattern (image towards the left) – Your natural hairs braided straight to the back and attached at the nape – this is the best option for Lace Front Wigs , Full Lace Wigs and Glueless Lace Wigs, This braiding technique is great for treating your scalp when doing protective styling- gives you the ease of greasing your scalp at the recommended rate of every other night depending on the lack of moister due to changing seasons. Beehive Swirl braid pattern– ( image to the right) – recommended braiding pattern for crochet weaving, 360 frontal wigs and Glueless Lace Wigs . Circular braid pattern – Great for any lace closure , bundle weft installation or side partition lace wig installation. This braiding pattern is great for wearing lace wigs with combs inside the cap where the combs will slide easily beneath the braids. One can utilize un-weft ( bulk braiding hair) to braid their natural thinning hair around the perimeter in a circular style, meanwhile braiding the center most remaking hair in a cane row style . Then have all the ends interlock followed by tucking under the hairs or using a weaving needle and thread to secure the ends. Ensuring these braids are laid as flat as possible. Trim the lace of your 360 wig align with your hairline to complete your installation. 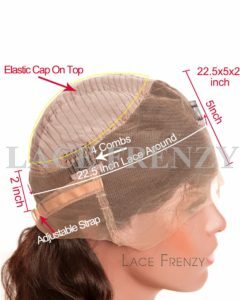 Whether using a wig cap or none ( by securing the 360 frontal wig with adjustable straps and sliding the pre installed wig combs on the interior most part of the 360 wig. To have an undetectable hairline a wig wearer can utilize a small amount of wig tape of silicone wig glue to secure the unit along the hairline. For those who choose to treat their scalps every other day you may choose the closest matching lace color to match your complexion and the most authentic looking hair texture selection to blend with your own hair. 1. Dramatic change to your hairline since the last lace wig or bundle install. 5. Feeling pain (tension pain) after braiding and weave installation after 1 hour – this means you must take it down immediately and give your hair a breather for 48hrs and have the braid pattern changed to a neat and comfortable feel then re-install. Keep in mind when braiding natural growing hair prior to your 360 Frontal Wig Installation , during seasonal transition to properly moisturize your scalp with essential oils to avoid the possibility of dry scalp especially during winter months which can cause de-hydrated skin. 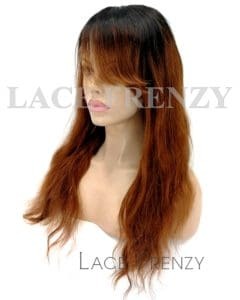 This entry was posted in 360 Frontal Wigs, Hair, Human Hair Wigs, Lace Wigs, Virgin Hair Lace Wigs, Weave Knowledge, Wig Knowledge and tagged 360 band lace frontal wigs, 360 frontal wigs, 360 Lace Wigs, virgin hair lace wigs, wig knowledge.